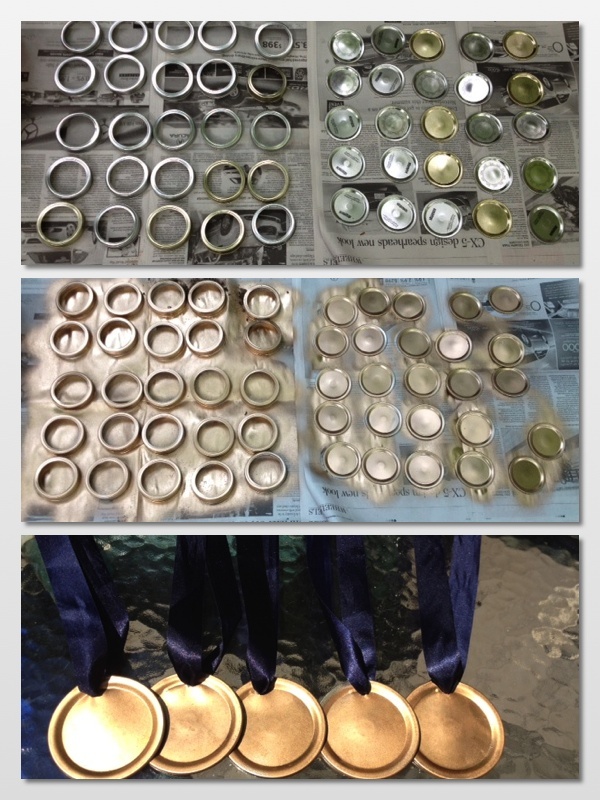 Looking for an easy Olympic craft or even better an activity for the whole day? As the Olympics are fast approaching, we decided to create an Olympic themed day to entertain the kids at the cottage. Games are as creative as you can get them and it was a ton of fun watching them compete for their chance to the win on the podium. Here is an easy summer craft that will have the kids vying for the finish line in hopes of getting a medal of their own. 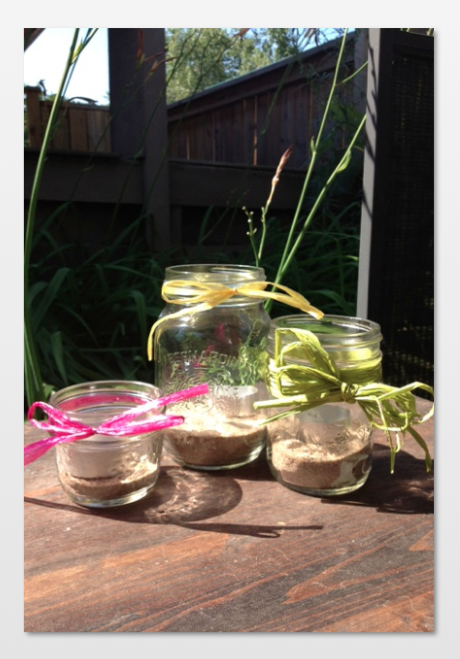 1) Purchase or recycle some Mason Jars that you can use around your patio as beautiful mood lighting during sweet summer nights. 6) Write on the front with the child’s accomplishments for the day. 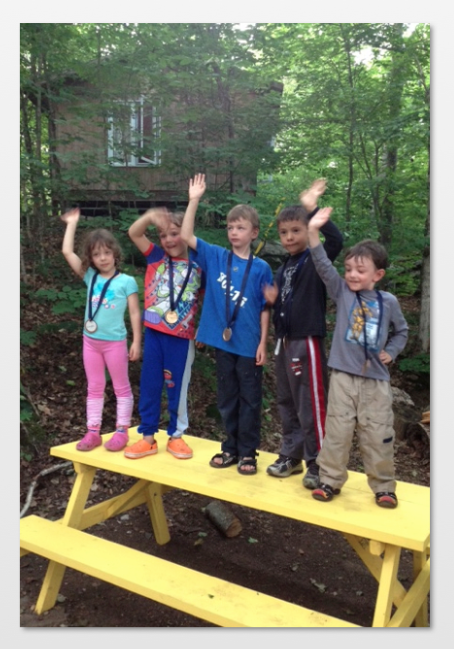 7) We downloaded the Olympic theme off of ITunes Click here- Olympic Theme and had each of the kids step up to the picnic table as their podium. Each were awarded their own special medal and didn’t take it off for the rest of the day.